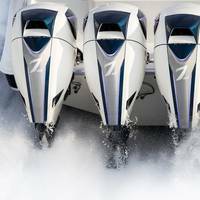 PPG announced that its protective and marine coatings business (PPG-PMC) has introduced the PPG ASSET INTEGRITY MANAGEMENT (PPG AIM) system in the United States and Canada. 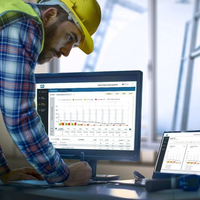 This software-based asset management system assists facility owners, managers and maintenance engineers in scheduling, budgeting and optimizing the corrosion protection of metal structures, buildings and equipment under their care for up to 20 years in the future.The PPG AIM system is based on proprietary algorithms developed by PPG from NACE 509 and ISO 12944® corrosion-forecasting standards. 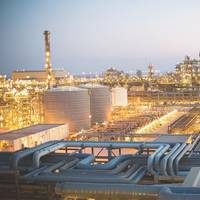 Cortec has developed the next generation of VpCI fuel additives for more potent corrosion protection of fuel systems. Cortec VpCI-707 has been specially formulated to protect fuel tanks and systems from corrosion and sludge formation without damaging copper and aluminum. 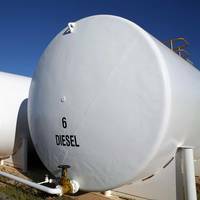 It is an option for keeping new and existing fuel tanks and systems in good condition during day-to-day operation and especially during vulnerable times such as intermittent operation, storage, or shipment. Other benefits of VpCI-707 are its improved water handling and good injector-cleaning capabilities. The biocide-free anti-fouling film, RENOLIT DOLPHIN S is already well established in in shipping industry. 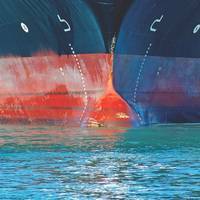 As a biocide-free alternative to anti-fouling paints, this product sets new standards. Further practical trials have now shown that this film could be suitable for other fields of application.In April 2018, the German Waterways and Shipping Authority (WSA) in Bremerhaven decided to test this film solution from RENOLIT. 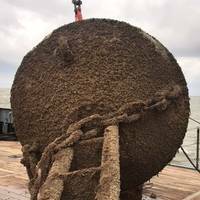 “I found out about the film in an article and wondered if this wouldn’t be a good solution to the fouling of our fairway buoys. Evac announced it will acquire Cathelco, a manufacturer of equipment for ships and offshore installations, a synergistic move for Evac as Cathelco customers include Evac’s current marine and offshore customer groups, including ship owners, shipyards, fleet managers, rig owners and operators, oil companies, navies, and designers. The acquisition gives Evac the opportunity to further expand its cleantech solution portfolio to its customers with the addition of new systems, while also opening up new business opportunities in terms of ballast water treatment systems. 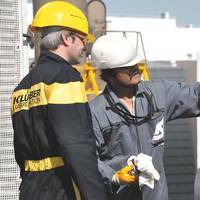 Specialty lubricants manufacturer Klϋber Lubrication recently introduced a new environmentally acceptable lubricant (EAL) grease for articulated tug and barge (ATB) couplings, Klüberbio AM 12-501.Klüberbio AM 12-501 is an adhesive EAL grease designed specifically for the large plain bearings, rams and connectors used in ATB coupling systems. It is based on fully synthetic ester oils for high performance and biodegradability, aluminum complex thickener for adhesion and resistance to water and select additives to reduce wear.Klüberbio AM 12-501 meets ATB coupling system OEM specifications for pumpability, resistance to water washout and spray off, corrosion protection and load carrying capabilities. The remarkable success of autonomous and remotely-controlled vehicles on land and in the air and the interest in this technology being shown within maritime circles suggests that it is only a matter of time before autonomous ships are deployed at sea. Although the fuel costs represent, by far, the majority of shipping costs compared to onboard crews, there are yet substantial benefits to be reaped from autonomous ships. The potential economic benefits are too great to ignore this emerging technology. 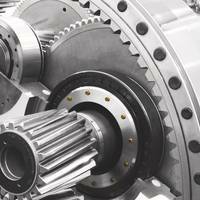 Maintaining mission-critical winches, windlasses and cranes: the four must-have lubrication steps that all operators need to keep gears going. 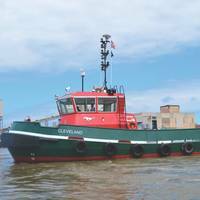 In the marine industry, winches, windlasses and cranes are the work horses of deck and harbor operations. They can be used to set anchors, position floating drill rigs, raise and lower sensitive scientific equipment, tow a ship, load/unload heavy cargo or even land fish. They are as vital to the mission of a vessel or a port as the main engine is to a ship. 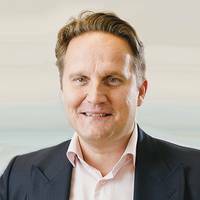 Hempel has launched Hempadur Ultra-Strength Fiber 47510, a new cargo hold coating said to deliver up to 40 percent reduction in cargo holds maintenance costs, according to the coatings manufacturer. 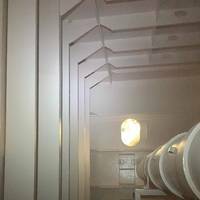 Hempel said the new coating is specifically designed to withstand conditions experienced by cargo holds, hatch covers and hatch coamings of bulk carriers, offering superior corrosion protection and long major repair intervals for owners and operators, as well as application simplicity for shipyards and applicators. 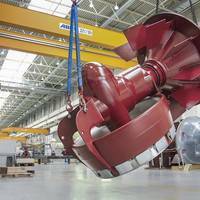 The first SCHOTTEL Rudderpropeller with the newly developed and patented ProAnode has left the German factory in Doerth. According to the manufacturer, ProAnode’s new form and position sets higher standards in corrosion protection, thereby extending the lifecycle of the thruster. Furthermore, moving the position of the anode from the outside surface into the cross-section of the nozzle tail leads to subsequent operational benefits, such as reduced flow interference, resulting in fuel savings. Substance type: Flanges, couplings, panels, etc. Oxifree TM198 is 100 percent environmentally friendly corrosion inhibitor supplied by Corrosion Solutions Norway AS. 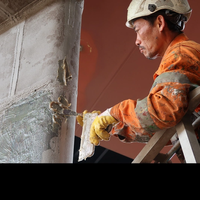 After a simple pretreatment, TM198 can be applied on structures using an applicator gun. 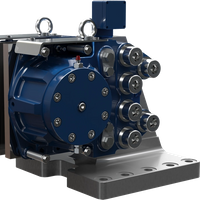 The application is fast and efficient and can even be applied to live equipment eliminating the need for a shutdown. 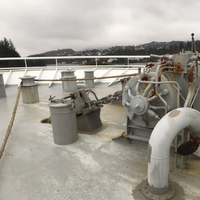 M/S Endre Dyrøy is the first vessel in Norway to have been applied with this unique corrosion inhibitor at 30 different objects/points. Braking systems manufacturer Dellner Brakes has rolled out two new spring applied failsafe brakes to its SKP range for cranes, winches, deck machinery, oil rig draw works and other equipment, both on and offshore. Precision engineered in Sweden, Dellner’s new SKP 180 weighs in at 315 kg and delivers braking force from 141 kN up to 226 kN through two brake housings, each containing a powerful spring applied piston. The SKP 4 x 180, weighing 630 kg, combines two brake assemblies containing a total of four pistons to deliver braking force of up to 453 kN. 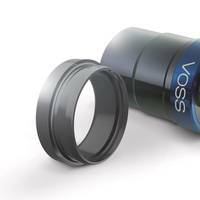 In combination with the VOSSRing preassembly studs, VOSSRing also meets the demands placed on assembly reliability and leak prevention, as confirmed by a series of certifications such as the recent permit for gas applications. The cutting ring had already been granted certificates for the marine and offshore sectors from all major international classification societies. 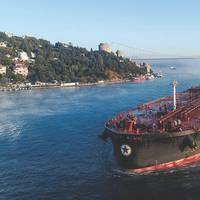 It is now seamlessly integrated into the fluid specialist’s complete range of couplings: they are mostly approved for both the marine and offshore sectors as well as for gas applications. Dellner Brakes AB said it will introduce two new heavy-duty disc brakes to its SKD range that, through a new modular design, are set to deliver more choice and stopping power for large industrial, marine and offshore applications. The new brakes will be launched at Nor-shipping in Oslo, taking place from May 30 to June 2. 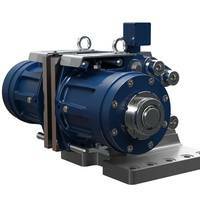 Designed for stopping rotary motion and statically holding load in large marine vessels and industrial machinery, Dellner’s new SKD 140 brake delivers braking force of up to 258 kN through two brake housings, each containing a powerful hydraulic piston.